PORT ST. LUCIE, Fla. — New York Mets pitcher Noah Syndergaard tuned up for the regular season with a couple fastballs — at his own organization. The Mets left Florida's East Coast after Sunday's 8-4 win over Washington for Sarasota — a three-hour bus ride over to the Gulf of Mexico. "You'd think we'd go to New York to get like — as adults — our things, our affairs in order, but nah, we've got to go to Syracuse first," Syndergaard said. "I don't know whose idea that was, but it's not a smart one. 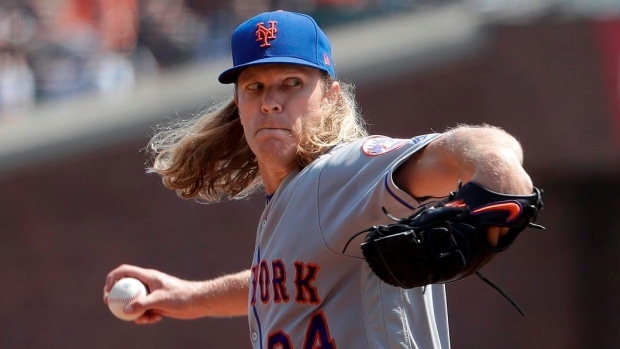 With all the meetings, information and data the club has presented to the players on proper sleep, nutrition and a healthy lifestyle, Syndergaard said travelling to Syracuse for a workout didn't seem like the right approach.